One of the largest and most dynamic food group processing, manufacturing and distribution companies in Canada, employing more than 3,000 people with 27 office locations and operating facilities across the country. 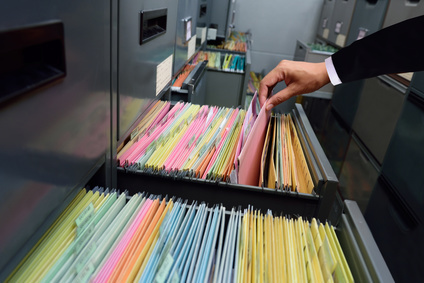 With many locations, thousands of employees and HR documents stored in file folders, the HR department was spending too much time searching for documents across the organization. It was estimated by HR Management that the department was spending more than 80 hours per month searching for important employee paper based documents. This was complicated by the fact that many employees transfer to different work locations throughout their careers with the company. It was a significant challenge and was very time consuming for HR to gather documentation for employee milestones and HR actions. The HR executive developed an initiative to store and organize HR documentation digitally and enable the HR team across Canada to gain secure and quick access to this documentation. Upon contemplating the objective of capturing HR data, the organization quickly realized that the company lacked the imaging technology, document workflow processes, and IT support to enable the digitization of the historical documentation. They also realized that they were also lacking the processes and systems required to manage future HR documentation. When the HR department met with IT to discuss resourcing the project, they found that IT infrastructure projects were lined up and there wouldn’t be time to even scope the HR project for at least 18 months, if the IT steering committee added it to the priority list. The right platform of equipment across the print infrastructure. The required integrated software solutions to enable HR and other departments in the future, to remove paper from their departmental processes. An increase in efficiency by digitizing historical documents. The development of a process to capture and store digital and paper documents in the future. The company’s #1 strategic objective was to increase efficiency within support departments and production areas. Solving HR’s documentation search challenge was in perfect alignment with this objective. See how document management and a customized MPS solution decreased the amount of time HR spent on document search, strengthened the IT department’s credibility, improved user credibility and increased user productivity. Please complete the following form to get your copy of this Case Study. 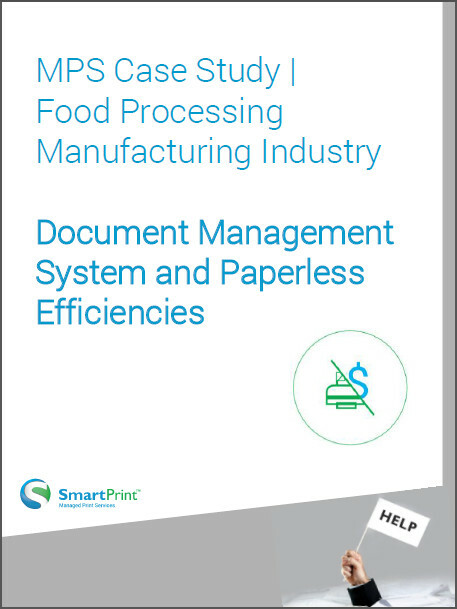 Find out more about how SmartPrint’s MPS Solutions can help your business and request your no obligation print environment assessment.